Known for its high-peaked mountains and wind-whipped prayer flags, Nepal has long been a country dominated by Hinduism, but this is changing. A national census in 1951 did not record a single Christian. In 1961, that number jumped to 458. By 2001, there were nearly 102,000. A decade later that number has more than tripled. In 2011, there were more than 375,000 Christians in Nepal and that number has since grown even though evangelism is outlawed by the state. 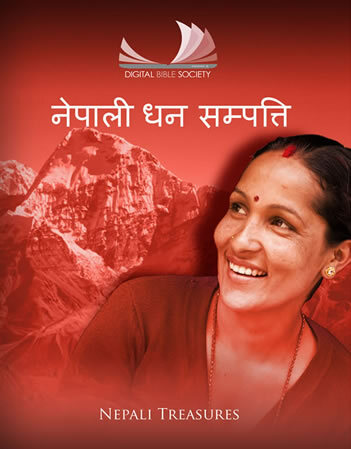 Nepali Treasures is a digital resource intended to meet the needs of this growing church. It contains Bibles in text, audio, and video formats in addition to discipleship and evangelistic materials. Nepali Treasures is also free-to-download from our website and free-to-distribute in Nepal.